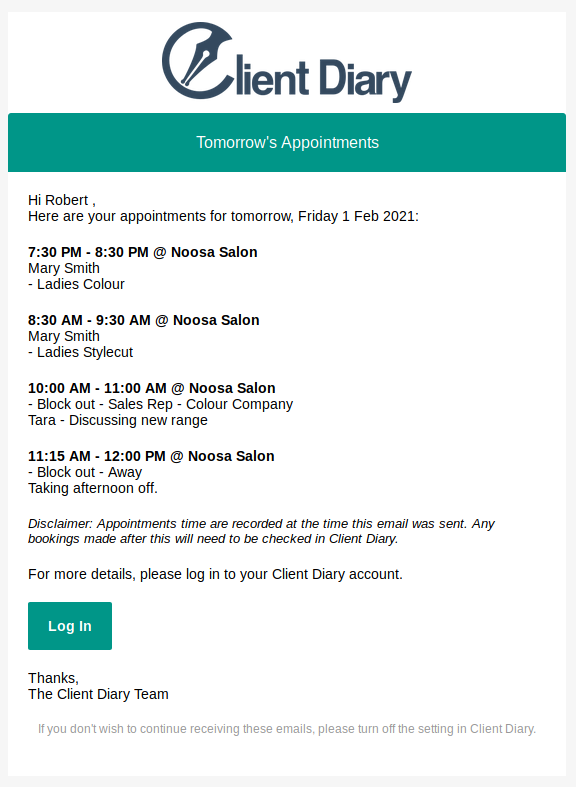 Client Diary has a powerful feature which will email your employees their appointments for next day they work. The email includes no private or financial information and is an excellent way to see what your day will be like before getting to work. This option is off by default. For this option to work you will need to make sure that your employees have their email address added to Client Diary. Note: You will have to repeat these steps for all the employees you want to receive emails of appointments.